On February 26th 2017, I launched my latest book, Sklo: Czech Glass Design From The 1950s-70s. 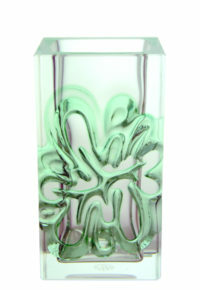 It is a revised and considerably enlarged version of my bestseller Hi Sklo Lo Sklo: Postwar Czech Glass Design from Masterpiece to Mass-Produced, which I published in 2008 and which sold out two years later. 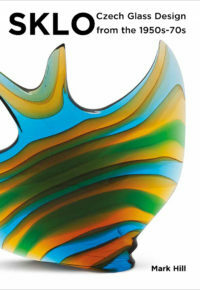 I was delighted to be asked to launch it at the Cambridge Glass Fair, the premier fair for vintage, antique and contemporary glass in the UK. 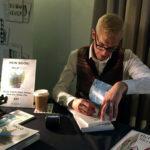 As ever, the fair didn’t disappoint, with hundreds of visitors queuing at my stand across the day to buy a copy of what had apparently become a much-anticipated release. 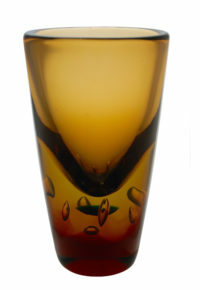 The fair also didn’t disappoint in terms of the truly vast selection of glass available for sale. 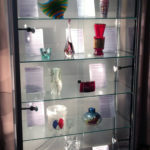 It really is “three hundred years of collectable glass in one day”, as the organisers state – there’s something for everyone. I managed to buy a few superb pieces for stock and a few little treats for myself, despite shelf space being so very limited! 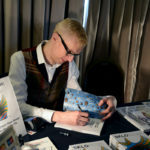 The day was made even more special as my good friend and top Czech glass researcher and author Jindrich Parik made the journey from the Czech Republic to be at the event. As ever it was great to catch-up with his activities and hear about his latest discoveries. 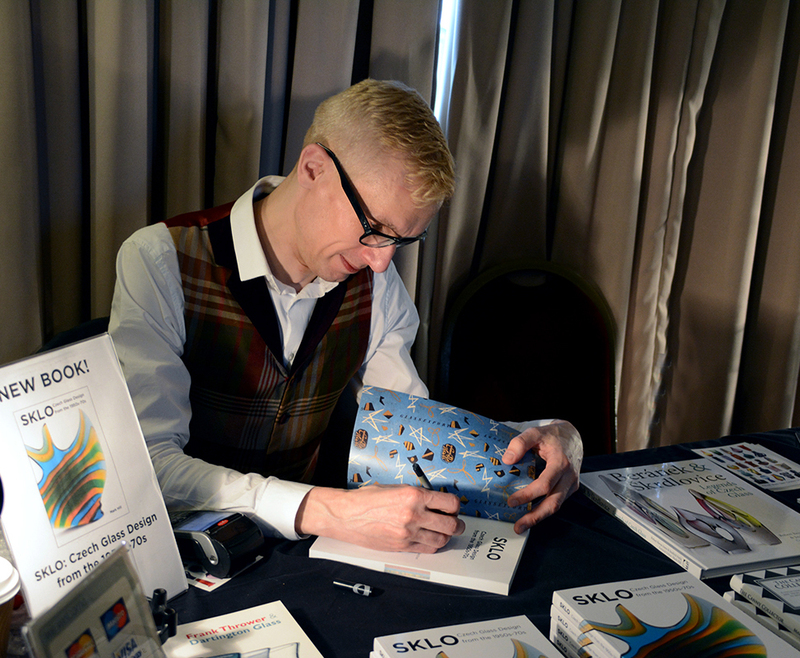 As well as contributing to Sklo, Jindrich co-wrote the landmark limited edition book Beránek & Skrdlovice: Legends of Czech Glass with fellow glass researcher Robert Bevan Jones. 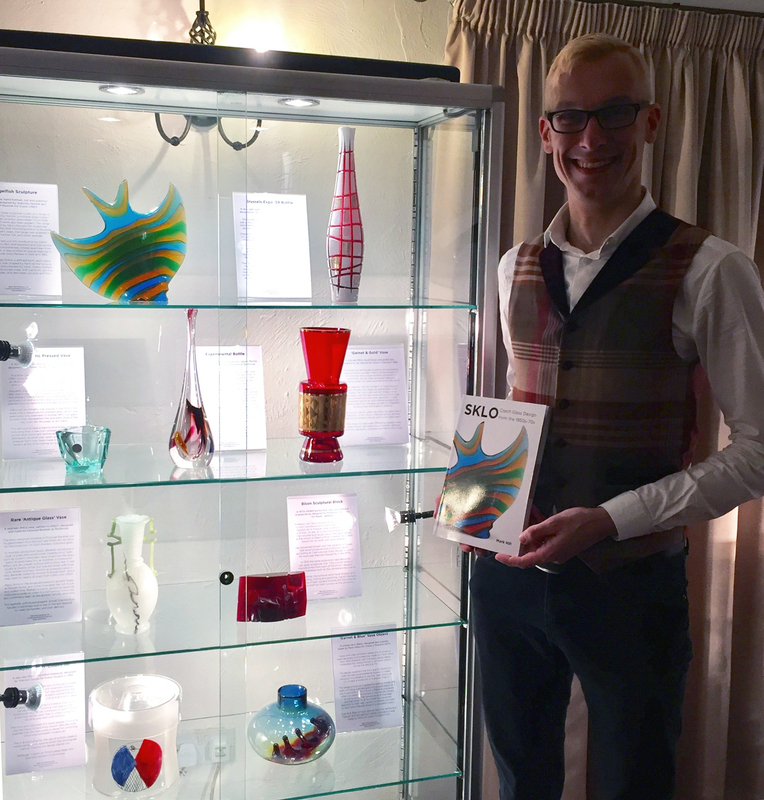 To commemorate the launch, I was also asked to put on a display of my ‘Top Ten’ pieces from the book, drawn from my personal collection of postwar Czech glass. Of course, I had to include the front cover piece, a superb 1960s cased, cut and polished ‘Angelfish’ sculpture designed by Stanislav Honzik and Josef Rozinek for Exbor from 1958. 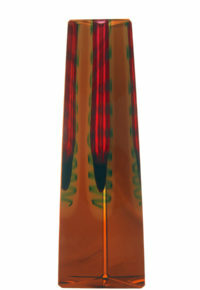 Other pieces included a tall Skrdlovice bottle probably produced for the 1958 Brussels International Exhibition, a sculptural cast block by the much-ignored but hughly talented Professor Jan Cerny, an early Skrdlovice ‘Antique Glass’ vase with complex handles designed and made by Emanuel Beránek, and a truly monumental 1950s cut, engraved and polished ‘Harvest’ vase by Antonín Drobník. 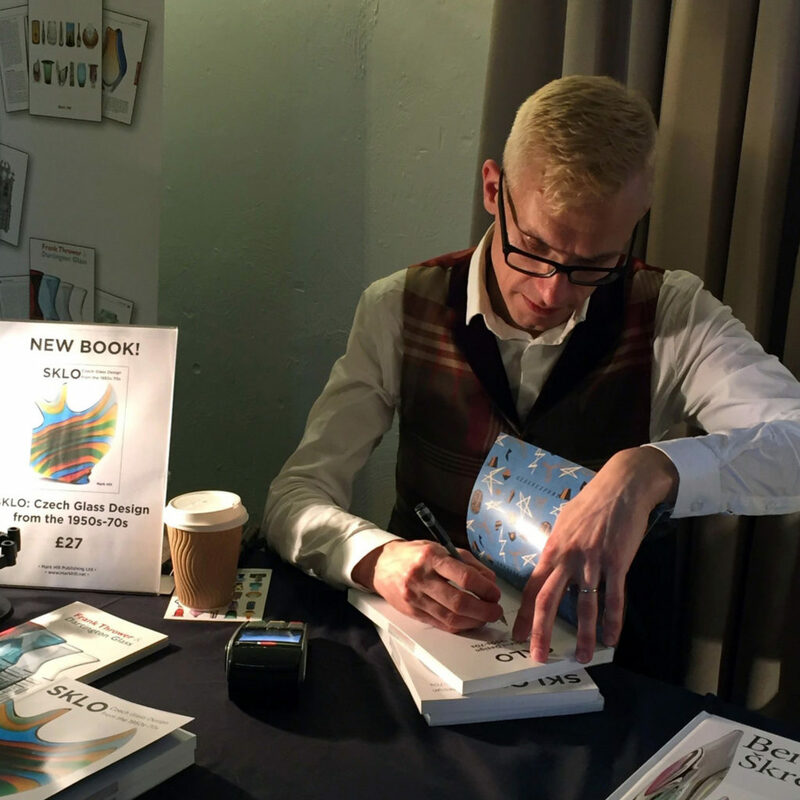 All the pieces on display, shown in the photographs below, are included in the book. 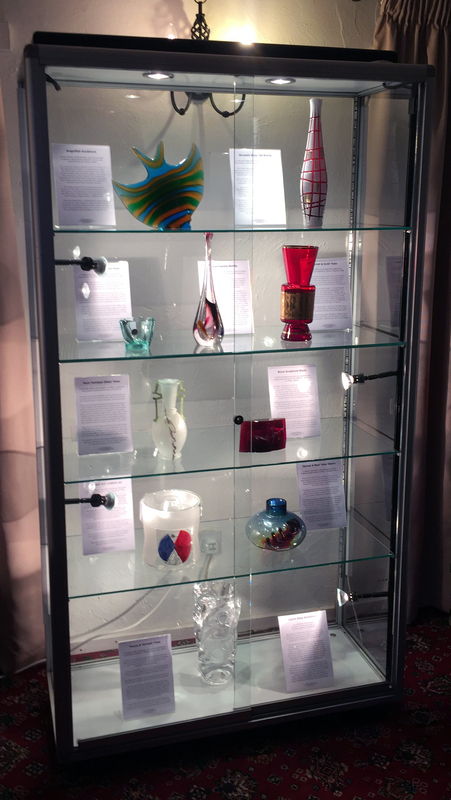 Mark’s ‘Top Ten’ modern Czech Glass Designs from his private collection on display at The Cambridge Glass Fair in Feb 2017. 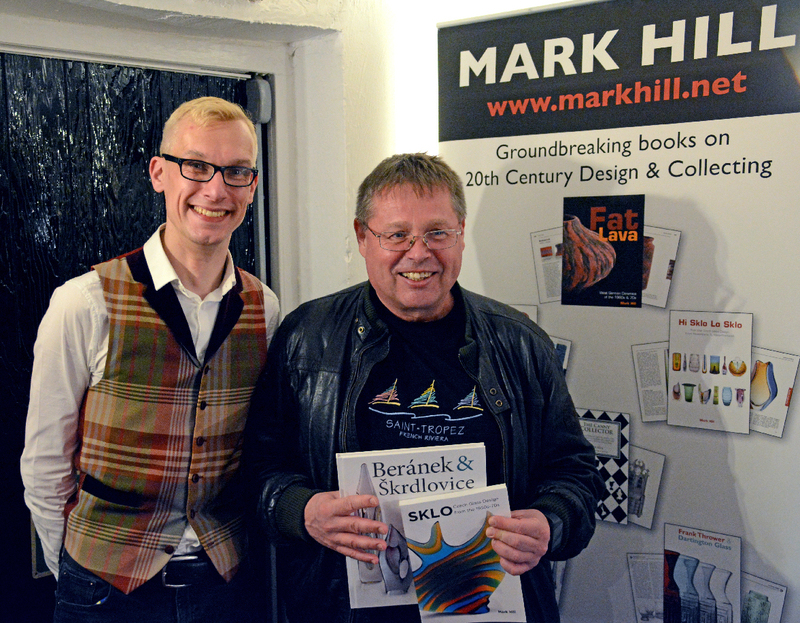 Mark Hill signing his new book on modern Czech glass design. 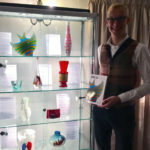 Mark with his new book and his exhibition of his ‘Top Ten’ modern Czech Glass Designs from his private collection. 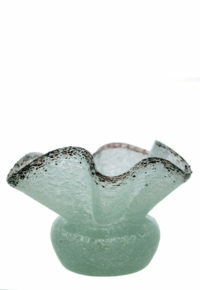 This entry was posted in Blog, Books, Czech Glass, Glass, Shopping. Bookmark the permalink.